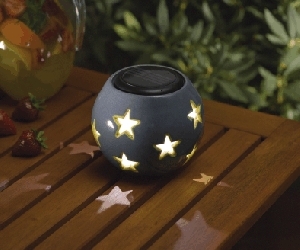 A range of solar lights designed to harness the power of the sun and reduce energy consumption in the garden and home. 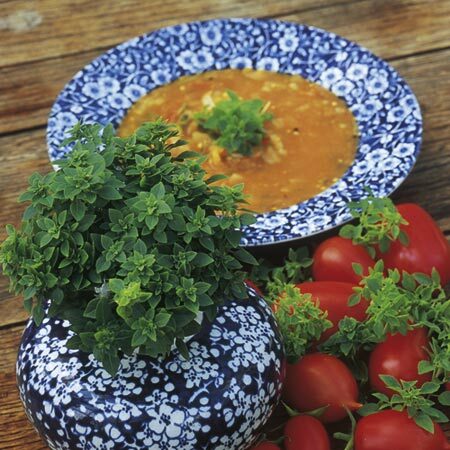 We charge a flat rate of £4.95 for delivery direct to your door. So whether you buy one product or ten you will only be charged one fee. 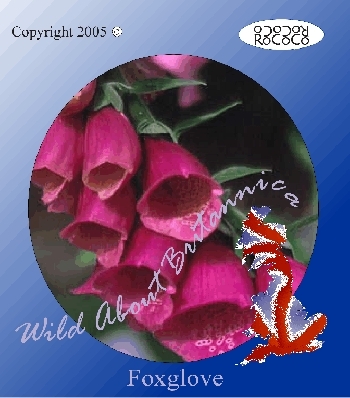 Free delivery on orders greater than £50.00. 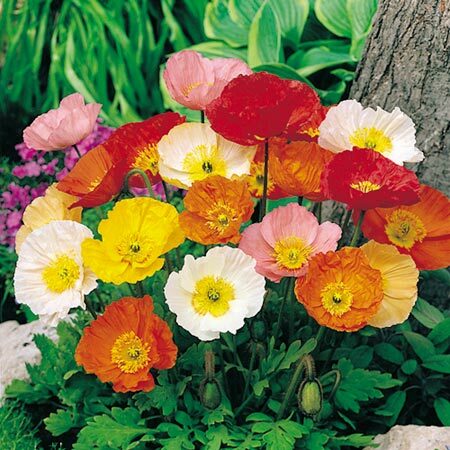 Ideal to light garden features. Tough plastic construction. Automatic operation. Recharges batteries during the day. Fitted with quality LED lights and solar panels. Modern design, tough plastic construction. Automatic operation. Recharges batteries during the day. Fitted with quality LED lights and solar panels. Size: 33.2cm H x 12.7cm Dia. Stainless steel design. Automatic operation. Recharges batteries during the day. Fitted with quality LED lights and solar panels. 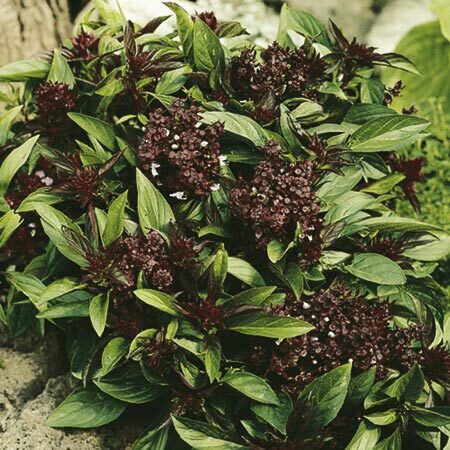 Ideal for use in any outbuilding. Easy installation (fittings included). 5 extra bright LED lights for maximum light. Includes rechargeable battery. Exterior mounted weatherproof solar panel. 1.5 hours of light at full charge. 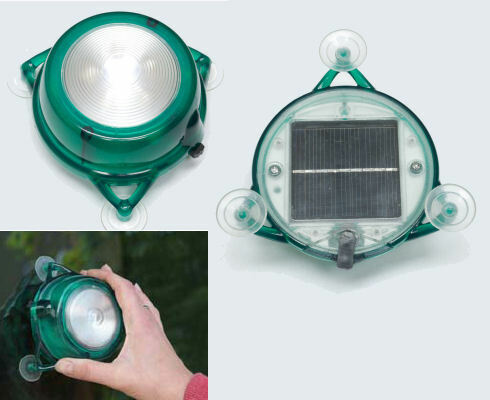 Bright multi purpose portable solar powered light, ideal for caravans, motorhomes and boats. No more fumbling in the dark to unlock your door! 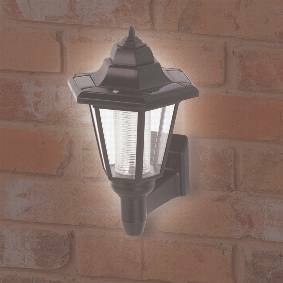 Solar powered LED light highlights keyholes, door handles, entrances to sheds and greenhouses. 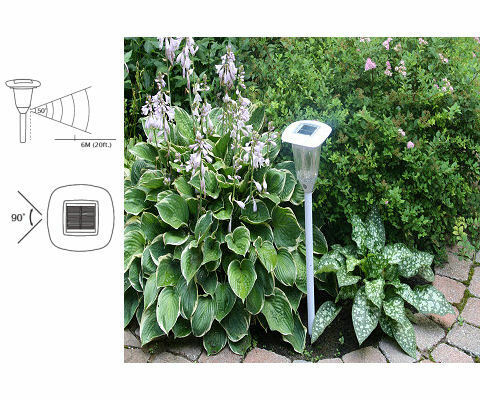 Sunsei's new solar garden light is packed with features you won't find anywhere else. 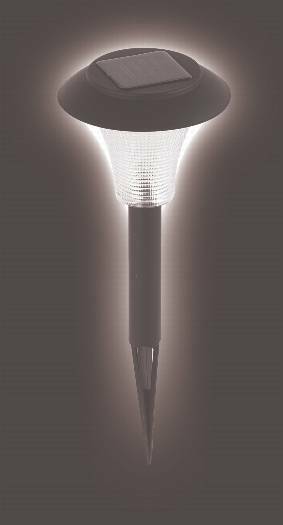 The light has winter and summer modes, to ensure you get the most from the sun year round. 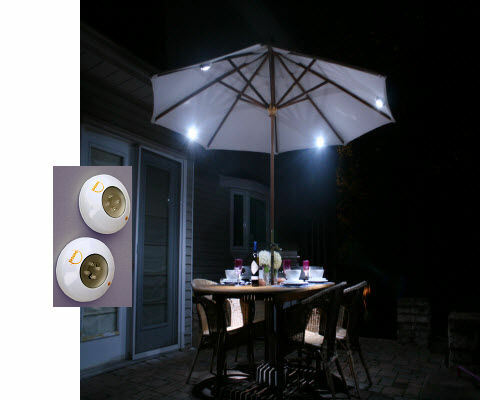 The solar power is stored in a hefty Li-ion batteriy, and it has a Passive Infra Red (PIR) sensor built in, so it acts as a security light as well as looking great in your garden. 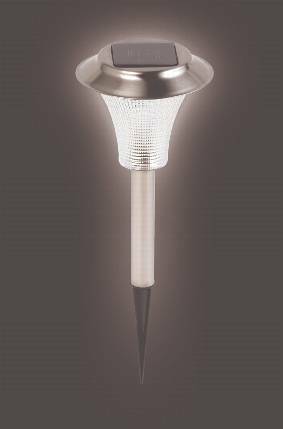 A very useful solar powered weatherproof outdoor light that works through canvas - ideal for caravan awnings, tents, umbrellas, flysheets etc. 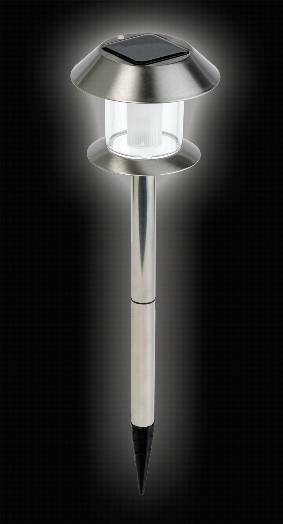 A truly lovely blue ceramic table light with a solar powered internal light. Casts a spell-binding halo of stars! 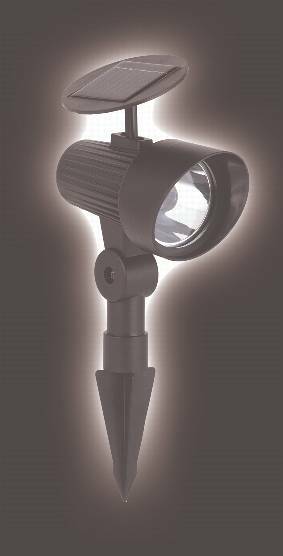 ICP Sunsei's solar powered motion-activated security light is easy to install and use. There are no complicated electrical connections, and it is rugged and waterproof, as well as having a host of useful features. 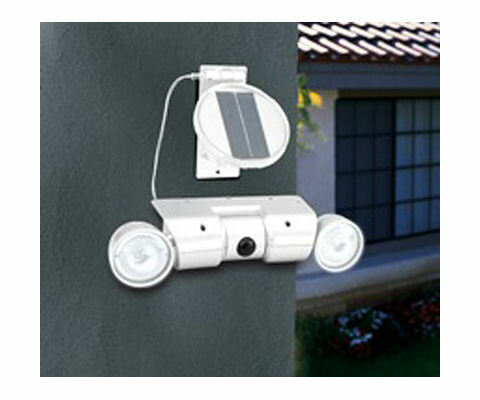 Sunsei's solar security light has 12 integrated long lasting LED lights. Functions with a Solar Panel so no electrical connections are required to power the lights. 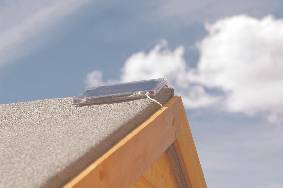 Solar Panel is equipped with a 16ft long cord for best positioning of the panel in direct sunlight. Solar Panel comes with an angle adjustable mounting plate to maximize the sun’s rays. Integrated weather proof on and auto switch. 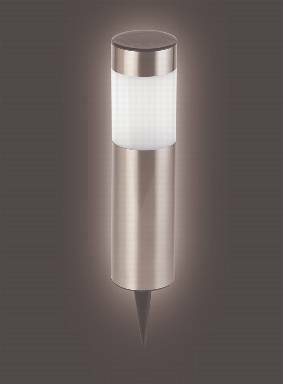 Built in motion sensor which detects 50 degrees vertically and 90 degrees horizontally. Switches allow you to adjust the motion sensor sensitivity and the amount of time (30 Secs. or 60 Secs.) the lights stay on after motion is detected. Built in rechargeable 3.6V 1400Mah Lithium ion battery. Battery charges automatically when Solar panel is exposed to the sun.